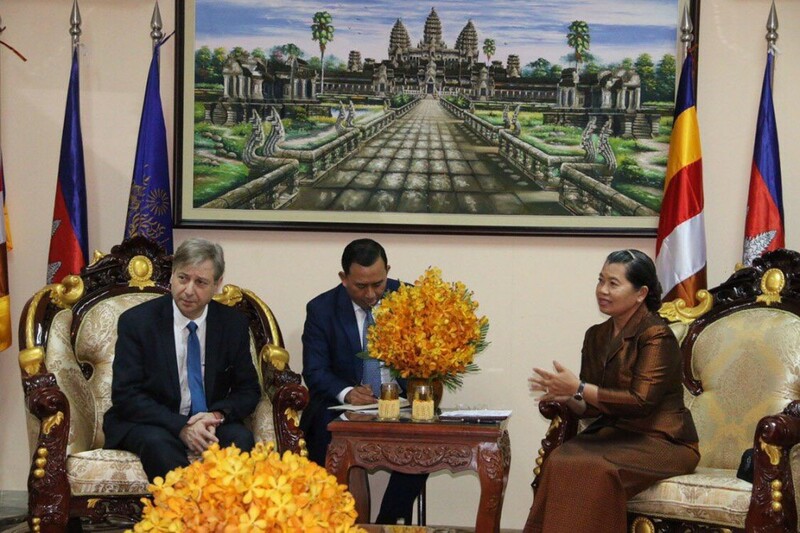 France will help discuss with the European Union (EU) on issue of withdrawal of preferences under Everything But Arms (EBA) Arrangement from Cambodia. The word was given by visiting H.E. François Grosdidier, a Member of the Senate of France, during his meeting with Deputy Prime Minister and Minister of the National Assembly-Senate Relations and Inspection H.E. Mrs. Men Sam An lately here in Phnom Penh. H.E. François Grosdidier considered the threat of EBA removal from Cambodia as a groundless oppression for the country which is working hard to promote human rights and democracy. The French senator also spoke highly of Cambodia’s robust economic growth and improved people’s living condition during the recent years. From her end, H.E. 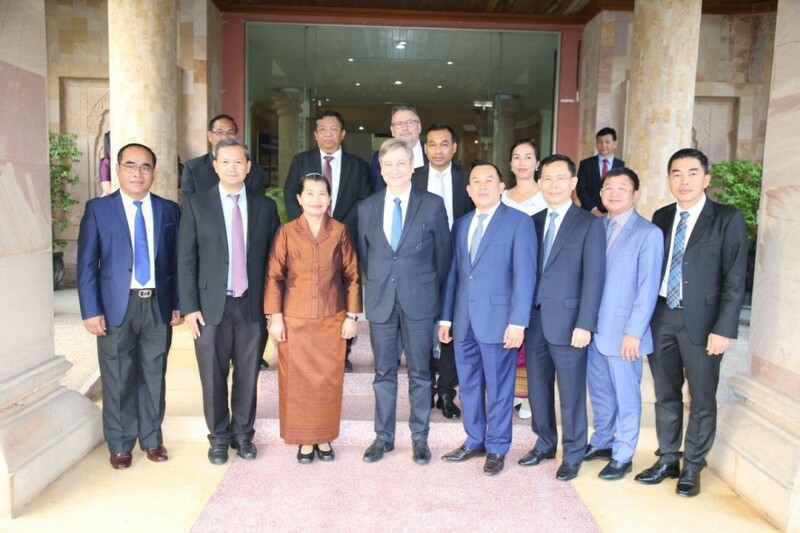 Mrs. Men Sam An expressed warm welcome to the second visit of the French senator to Cambodia, and thanked him for his appreciation of Cambodia’s endeavours to promote human rights, democracy and peace as foundation for sustainable development.